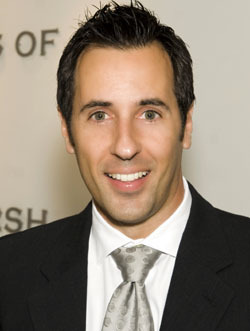 Attorney and FOX News contributor Mark Eiglarsh. (Photo courtesy of The Law of Offices of Mark Eiglarsh). As a former prosecutor, he's handled innumerable cases, reaching well into the thousands. And with six satellite offices throughout the tri-county area, as well as in Orlando, Mark Eiglarsh has established himself firmly as a gigantic presence in the legal community. To be sure, you can catch him during his weekly appearances on "Kelly's Court," a spirited segment hosted by Megyn Kelly on the top-rated FOX News Channel. Eiglarsh, who earned his undergrad degree with honors from the University of Florida ('89) and a law degree from Loyola School of Law in Louisiana ('92), also has made repeated cameos on CBS, CNN, MSNBC, PBS, and all of the South Florida affiliate stations. An AV-rated lawyer (the highest-possible designation) by Martindale-Hubbell, Eiglarsh was also selected by his peers as the "Best of the Bar," and was named one of Florida Trend's Legal Elite, an honor bestowed on less than one percent of all attorneys. A: Have fun! If you're not enjoying what you're doing, it will take a toll on you. Also, it will show. Additionally, figure out what makes you unique and why you deserve the referrals. Work on improving yourself. A: There are a handful of cases that stand out above all others where, against all odds, I was able to secure phenomenal outcomes for my clients. Also, becoming an adjunct law professor at the University of Miami School of Law is something that I'm very proud of, as it affords me an opportunity to give back. A: Finding the right balance between my personal and professional life is the most challenging. I strive to deliver the best results for every client that I defend. Also, I am a dedicated husband and father of three young, spectacular children. Until I find a way to increase the hours in the day from 24 to 40, I will always struggle with this. A: I always believed that I would be on television. I envisioned that I'd be a television reporter-slash-anchor and/or an actor. A: In ten years' time, I'll be happy and serene. Of course, I'm not going to wait that long. Fortunately, through a lot of work, I've been able to give myself the gift of happiness and serenity. My goal is to maintain that feeling for the remainder of my time on Earth. A: My professional role models included Martin Luther King, Jr., Gandhi, and John F. Kennedy. I thoroughly enjoyed their speeches and dedication. No one I saw on television shared their passion. A: I would have my own television show. Having my own show would enable me to further my mission. It's all about spreading peace and love. A: Being able to help people when they are facing the greatest challenges of their lives is the best part of my job. Knowing that I can obtain a second chance for those who desperately need one is an extraordinary feeling. A: Having to quote fees and having to collect fees. That part always makes me uncomfortable. A: Experience has taught me how little I know. The more I've learned, the more I know how little I know. Humility has been a good thing. A: Always do your best. Also, be impeccable with your word. A: I wouldn't do anything differently. I don't live with regrets. I've always done the best I could at my level of awareness at the time. A: The Make-A-Wish Foundation is one. Big Brothers Big Sisters. Having served as a mentor to an "at risk" child and having served on the board of directors for a decade, I can say, without reservation, how spectacular the agency is. We literally perform miracles, one child at a time.